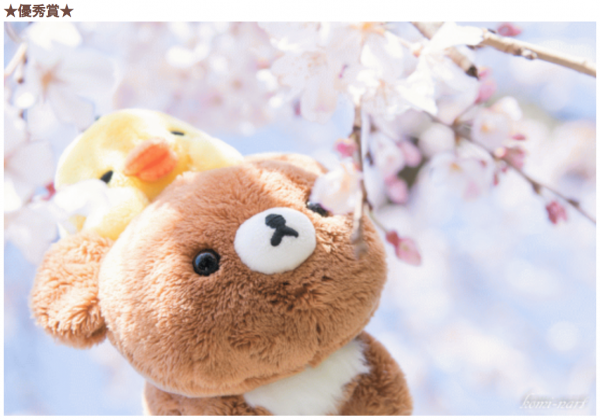 San-X hold the photo contest of Rilakkuma in commemoration of new series ‘Korirakkuma and his or her new friend’ theme from Mar 25 to Apr 14,2016. Contributor(komina7353) say that this was the first time seeing cherry blossom for Chairoi-Kogumachan:Kiiroitori told Kogumachan about here;I wanted to express the Kogumachan’s expression gazing at flower in full bloom when Kogumachan looked up it. Let’s go to the castle? 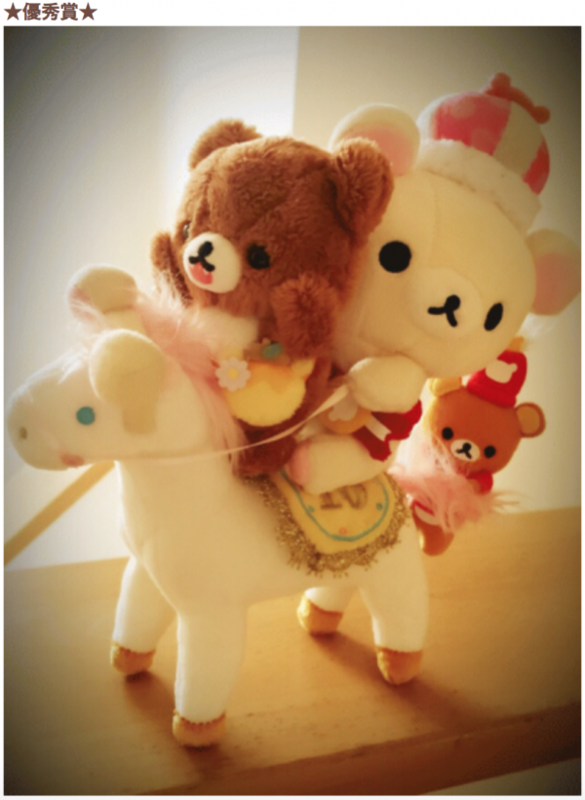 Contributor(korilakkuma) say that everyone are heading to the castle riding a horse friendly. 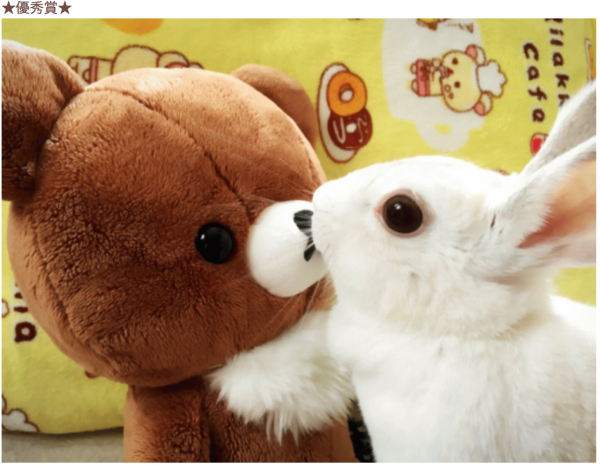 Contributor(ゆうみ) say that even a rabbit is stuck oh Chairoi-Kogumachan. 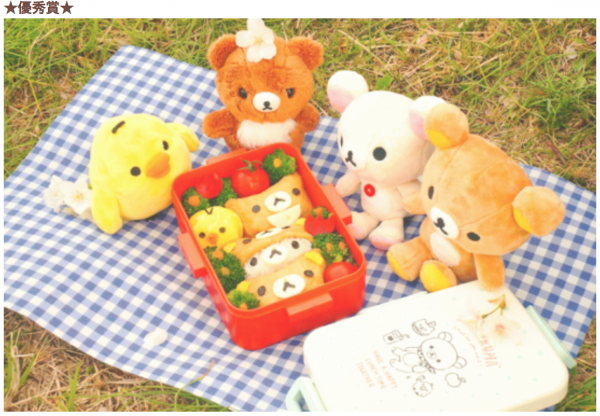 There are 4 ‘Inarizushi:a kind of sushi’ looks like Kiiroitori,Kofumachan,Rirakkuma and Korirakkuma in the launch box. The recipient of the prize was awarded an special art board. Next story What is sumikko-gurashi? 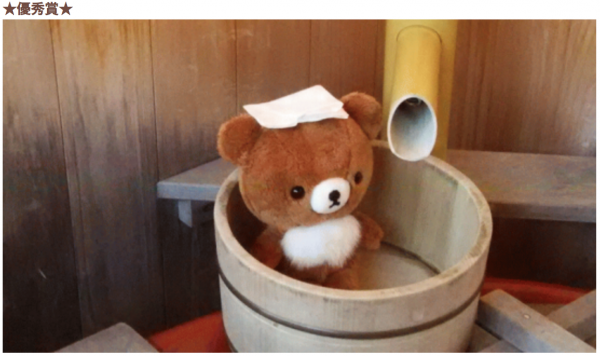 Previous story Rilakkuma cafe in Harajuku!